The second one of Azeroth map series. Review by Tenemide on 5/3/2013. Review by drewjj on 5/1/2013. Review by Nathan on 4/15/2013. Additionally, it might be intriguing to insert and/or convert some or all instances to mini-bonuses (1 army/1 territory) to make the map more strategic - especially the classics like Deadmines, Shadowfang Keep, Uldaman, Gnomeregan, the Blackrock dungeons, Sunken Temple, Scholomance and Stratholme. Keep them coming! I'm looking forward to Northrend, Outland and Pandaria! - The connections of Chillwind Camp and Andorhal, Stormwind and Ironforge are already exist, do you mean the connections are not clear enough? 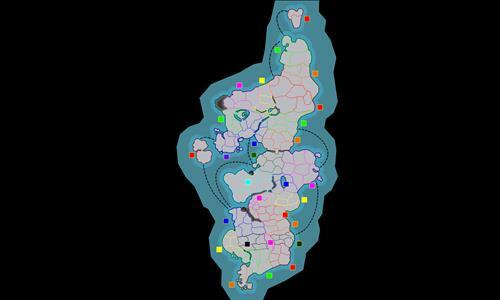 - You mentioned many connection settings according to the REAL wow map, actually that's what want to make at first, and then I found nearly all bonuses were surrounded by mountains and connected with only one way, which makes the map ugly. - Archerus and Silvermoon City have direct connection in wow? - For mini-bonuses, i didn't add them simply because the map is too small, the cities may become 1 income bonus in the next whole Azeroth map. Review by Aenye Deithven on 5/15/2013. Review by Soup1132 on 11/5/2013. Review by Mark The Destroyer on 12/25/2013. Review by Anwil on 4/7/2014. Review by Z4hradnik on 6/17/2014. Review by Kat' on 4/18/2013. Good map, well designed. This is the quality level all maps should have. Review by KlaussMarcellus on 8/22/2014. Review by Jazz on 11/22/2014. Review by Buck on 1/28/2018.